Happy Sunday, and welcome back! My Sunday polish this week is a souvenir from my last vacation. 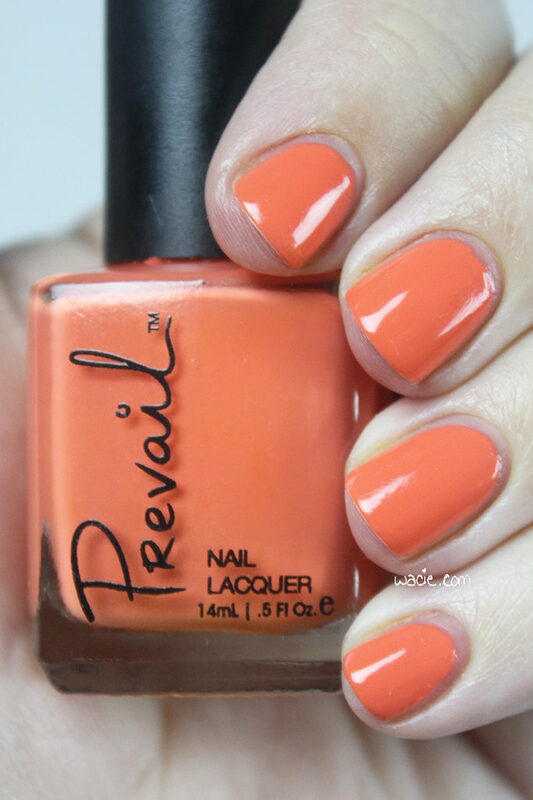 This is City of Dreams from Prevail; I’m wearing three coats with one coat of Seche Vite top coat. 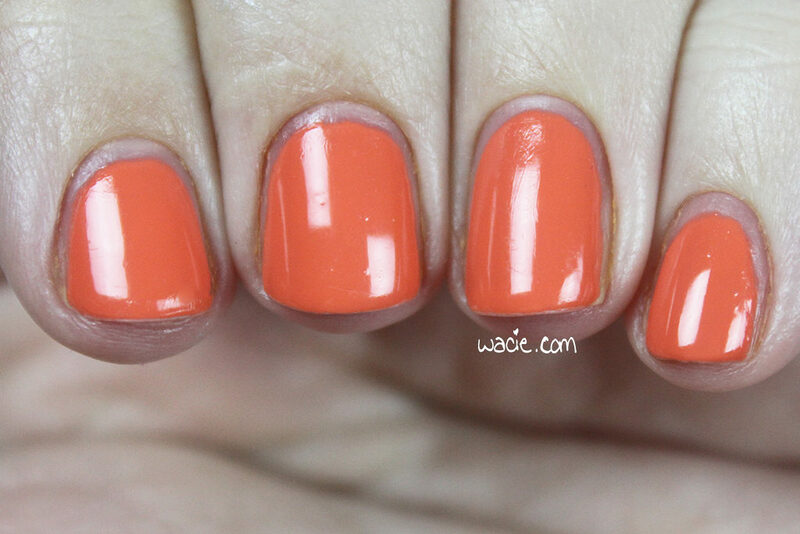 City of Dreams is a coral creme polish. Application was good, though the product consistency was a little thin. After two coats, some nails were still a little streaky and needed a third coat. 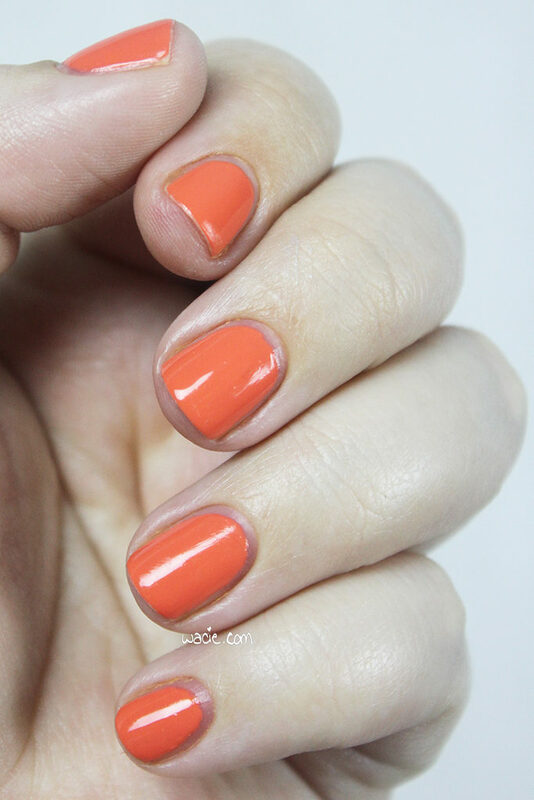 The polish dries quickly, though, and with a smooth and glossy finish. I used top coat for extra protection. So while the polish itself isn’t special, the sentiment is. A couple years ago, I was in New York, and I was buying polish everywhere. I got a few bottles from the Macy’s on Herald Square and the Times Square Sephora; this particular bottle is from a Penn Station Duane Reade. I don’t know why I remember this, but I do. I ran in to get a new powder compact and just grabbed whatever interesting things I saw on my way to the register. This polish was one of them! I got some GOSH polishes at the same time. And I didn’t miss my train! 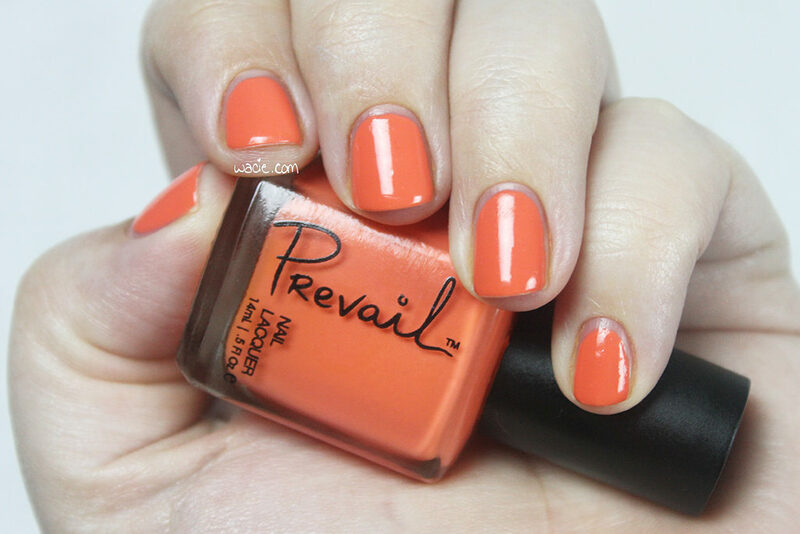 I like this polish, and I liked the formula enough that I’d buy it again if it ever turned up in Florida. I admit that I don’t know much about this brand, and that’s kind of the whole reason I bought it, I just wanted things I wouldn’t normally find where I live. While I wouldn’t go out of my way to grab another bottle of Prevail, I’d totally get a few more if I had the opportunity. In the meantime, Sinful Colors is good enough for me. Prevail, given that I’ve never seen it anywhere else, may be a Duane Reade exclusive brand. Check Duane Reades in New York to buy them.